Quickly after its foundation in 1999, the Californian company RingCentral became a leader in the VoIP market and set out to further expand its services to become an all-encompassing cloud communications platform. Its VoIP solutions serve various business needs, whether your company is currently still using landline phones with existing numbers, or you’re just starting out. 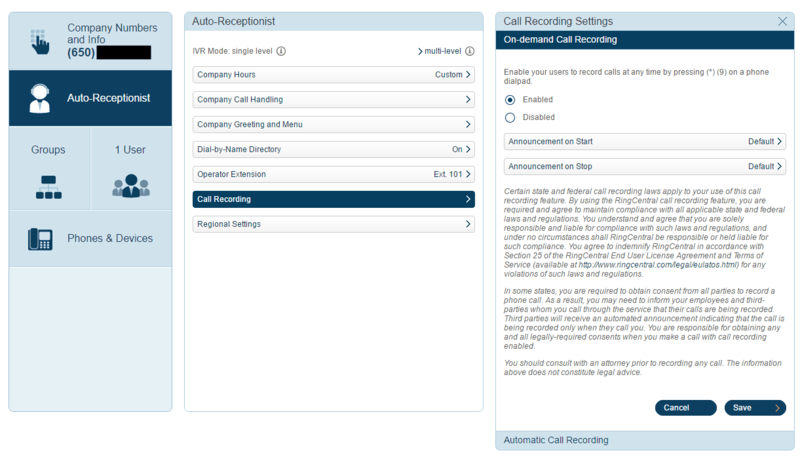 All call related features you can think of are available in RingCentral, some of them in advanced form, plus you can also get as many phone numbers, phone lines and extensions as you want. The company provides a very effective, scalable phone system manager with a visual answering rule creator and a built-in softphone, but your subscription also comes with a downloadable desktop program and an app. Furthermore, you get unlimited domestic calls, business texting and faxing, a complete messaging and collaboration platform, the option to integrate the most important third-party solutions and support from an always ready customer service team. And to top it all, everything above of this is available for very reasonable prices. With RingCentral you can be sure that all call handling features (and more) needed for professional VoIP phone systems are at your service. 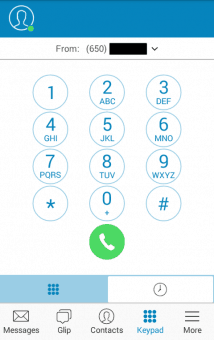 HD calls can be easily forwarded to your numbers, to ring groups using the same line and/or to an unlimited amount of extensions, ringing you and your colleagues sequentially or simultaneously. Calls can be transferred between any device connected to the network (under the name call flip), put on hold with call queuing or be returned if you missed them. Speaking of missed calls: you get notified thereof via email and/or push notification, unless it is a blocked call which is disconnected after playing a predetermined message to the caller. 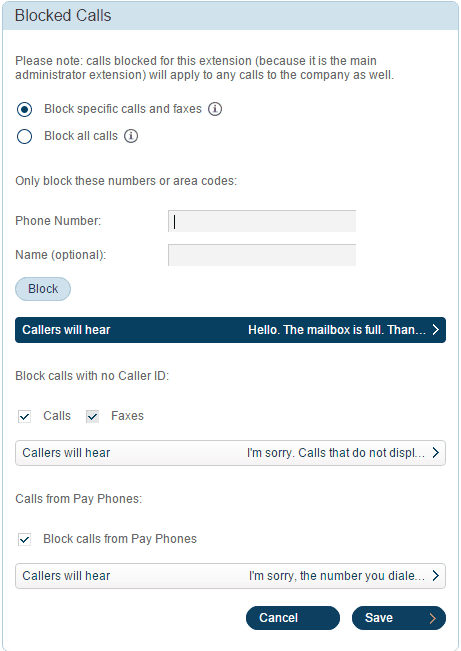 If the number is not on your block list, the caller has the option to call you or your co-workers either by the extension number or, if it is allowed, search a colleague by name. No callers can hide their phone numbers from you thanks to caller ID screening, but you can always use your own caller ID from any device connected to the network. However, if you are not on a device that is logged in using your account credentials, the hot desking option allows you to go to another station and quickly log into the system therefrom, even transferring your calls to the new place. If you still remember pagers, you will be surprised to hear that RingCentral comes with paging and intercom options, allowing you to make real-time one-way announcements to certain desk phones. However, said messages will only be received by active devices, as you and your colleagues have the option to change your status, showing your availability to everybody else using the same system. As for audio(visual) conference calls, you can do that via the dedicated conferencing line which is available to multiple calls at the same time for anybody (your network’s users and outsiders alike) in possession of an email/SMS invitation containing the access code. However, there is a catch: audio-only conference calls can have up to 1,000 participants, but video calls can “only” handle 50 people at maximum at the same time. 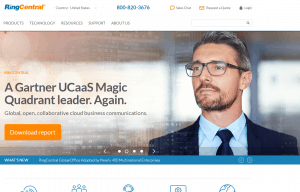 Unfortunately using RingCentral’s system manager requires some learning due to its highly versatile nature, but once you get a hold of it, even as a “simple” user you are treated like a king regarding customization and handling options. When you place/receive a call, it is properly logged, including all data you need; from the caller’s identity to the length of the call, what action was taken and whether the call was recorded or not. (Recordings have their separate page.) Contacts can be entered or deleted one-by-one or can be imported either in a CSV file or by establishing a connection between the system and your Google account. 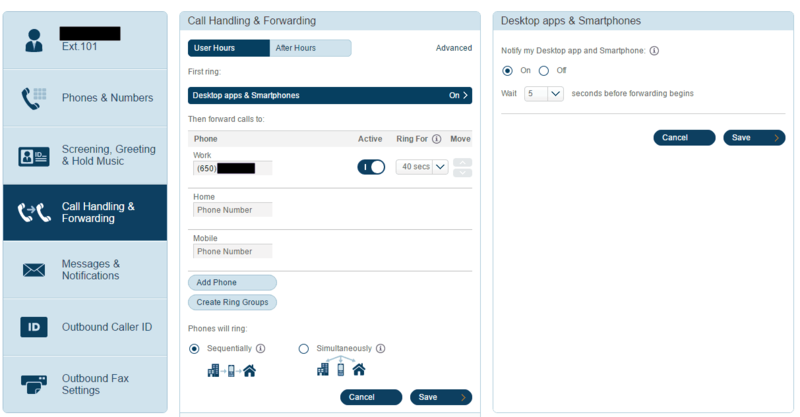 However, it is the other settings where RingCentral truly shines: you can easily set up your working hours, what your greetings should sound like, where calls should be directed to if you are away from your desk, and what should be seen on the screen when you are calling someone. In fact, you can give permission to other users to pick up your calls from their phones if you are unavailable (which is true vice versa), but you also have the option to monitor the calls of other users and get notified of their incoming calls by being rang like when you receive a regular call. 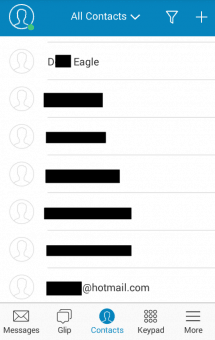 As an admin you can determine the company’s caller ID, add and manage devices, create entire groups for multiple purposes and even set up extensions intended for informational purposes. Aside from the call log, there is the much more detailed call report that shows every single activity within the system and can be exported as an Excel file. You also have the option to give permission to other users to handle international calls or, as an admin, to manage the entire system. 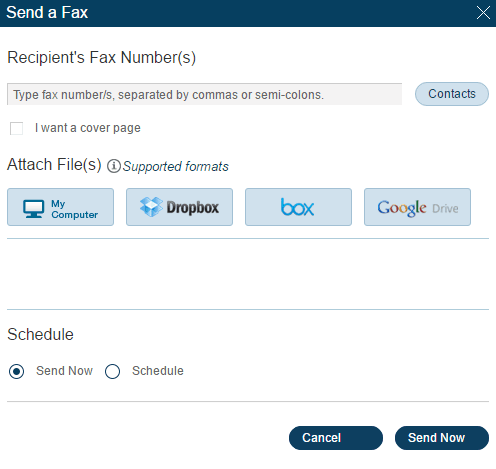 Furthermore, RingCentral is one of the few VoIP companies that not only allows users to send and receive unlimited faxes without an actual fax machine, but it lets you do that as part of your subscription. And if that’s not enough, there is Glip, a team messaging and collaboration platform (instant messaging, task management, file sharing etc.) and a much more complete alternative to Skype or WhatsApp. 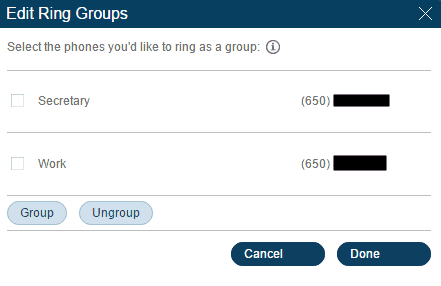 With RingCentral, setting up a number is a bit limited (albeit free of charge), because the new number has to be either local or toll-free. The same rule applies to ported numbers, the transferring of which usually occurs within 2–4 weeks. However, this is just an initial restriction: once your RingCentral account is set, you can add any kind of phone number to your account in an infinite amount. Additional local, toll-free and vanity numbers are $4.99 per month, but in the latter case a one-time $30 setup fee is to be paid, a price which also applies to true 800 numbers. Thankfully you are allowed to have international numbers, but to be able to use them you are obliged to pay $5.99 per month per user. You have the option to allow foreign co-workers to connect to your system too, but that will cost you $4.99 per month per user. The biggest problem of the RingCentral iPhone/Android app is that after seeing what the desktop version and the Chrome extension are capable of, it is a bit disappointing. Don’t get us wrong; it perfectly serves its purpose of using your phone system on the go, but it is limited to the most important RingCentral features. 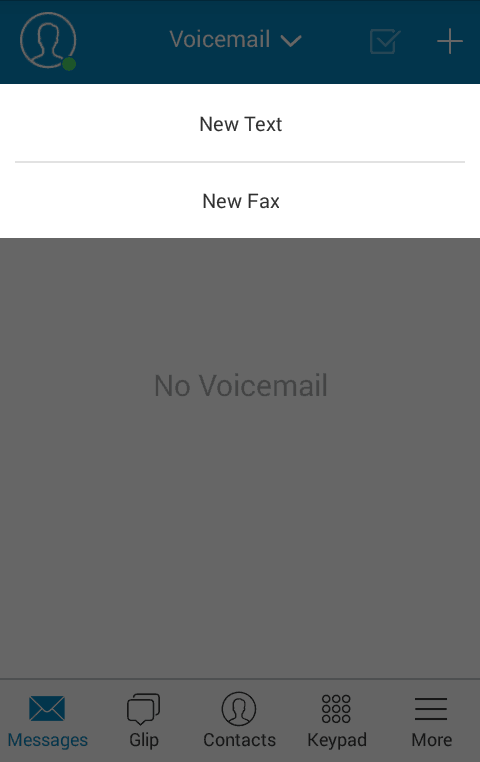 In the mobile app you can send and receive business text messages and faxes, listen to your voicemails, and handle calls in every way using any phone number associated to your account. The app can import all your contacts from your smartphone (provided you give permission to do so), allows you to join conferences and it can even store documents fetched from emails or other apps for faxing purposes. A small nuisance is that to be able to use Glip or to participate in a meeting, you have no choice but to download separate apps. 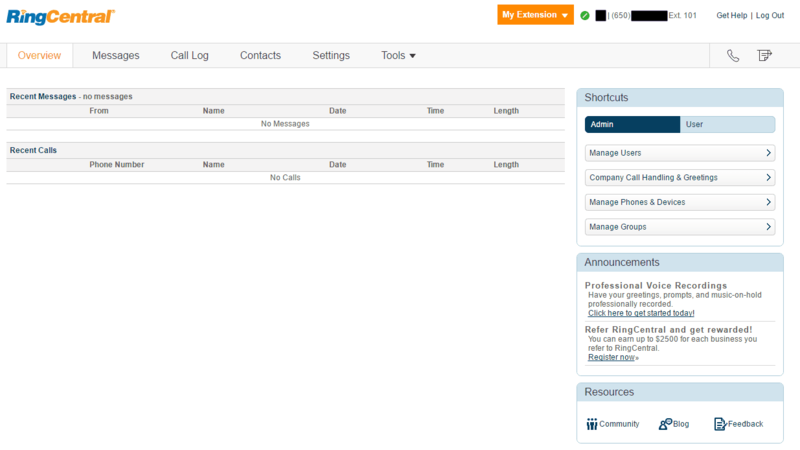 RingCentral is without doubt the king of integrations. In fact, if the call handling and system management options were not convincing enough to prove that RingCentral is a market leader, its 10 integrating options – especially those related to Google and Microsoft products – definitely put the cherry on the top. Google users are especially treated like royalties: Google Calendar can be used to organize meetings, Hangouts can be used to bypass the limited number of participants during audiovisual conference calls, while Google Docs and Drive can serve as storage places for fax documents. The same can be said for Microsoft: Office 365 documents can easily be saved and shared from your RingCentral account, Outlook contacts can be imported in a jiffy and Skype can be used for conferencing purposes. And we haven’t even mentioned that RingCentral can also cooperate with Zendesk’s customer service software, Salesforce’s CRM platform and good old cloud storage service Dropbox. RingCentral has four plans, all of which are available with a 15-day risk-free trial: Essentials, Standard, Premium and Enterprise, which cost $19.99, $24.99, $34.99 and $49.99 per month per user respectively. 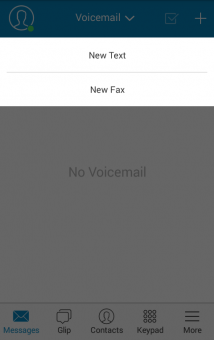 Aside from the call handling features, the faxing and the multi-level auto-attendant, all plans include the apps, the software, Microsoft/Google/Dropbox integration, unlimited local callings and business text messaging, and HD call quality. The two cheapest plans, Essentials and Standard, allow four people per video meeting, but while the former only provides 100 toll-free minutes and has a maximum user limit of ten, the latter treats its subscribers to 1,000 free minutes, internet faxing and the multi-level auto-attendant. 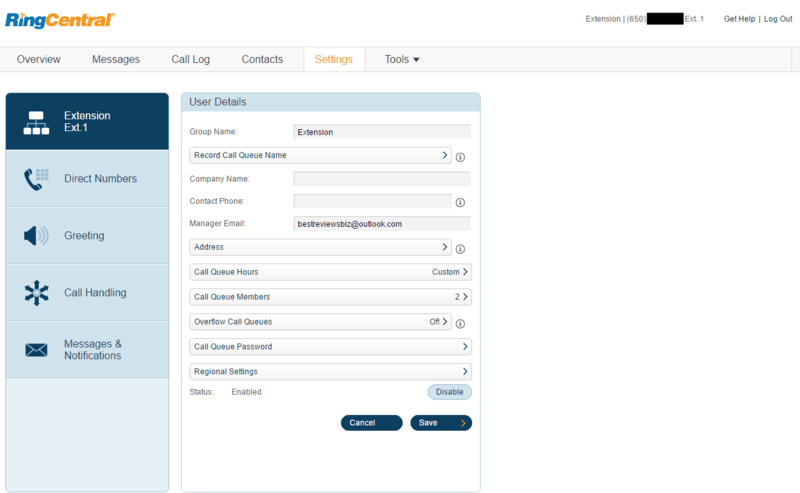 Premium provides 2,500 toll-free minutes, allows 25 people per meeting, plus it throws in call recording, single sign-on and more integration options to the mix. Enterprise is the top plan: it boasts 10,000 toll-free minutes, video conferencing for 50 people and voicemail transcription. 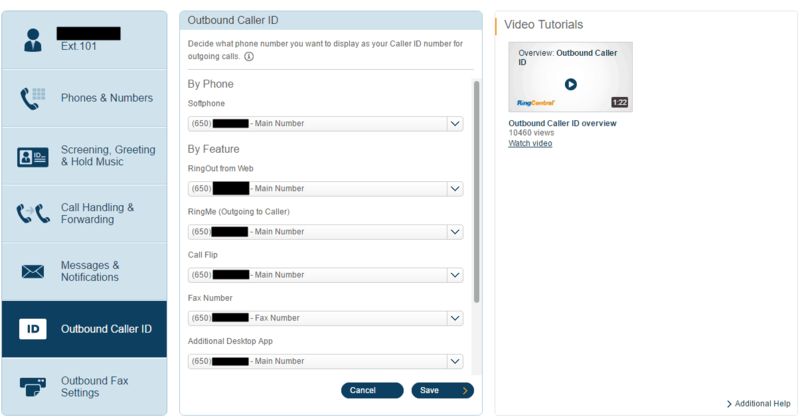 While RingCentral’s plans are highly customizable by default you have the option to request a quote for a personalized offer. Since RingCentral often runs promotions where you get free desk phones, toll-free numbers and other extras, it’s worth requesting such a quote or giving them a call (888-295-17-24) to ask about the latest special offers. 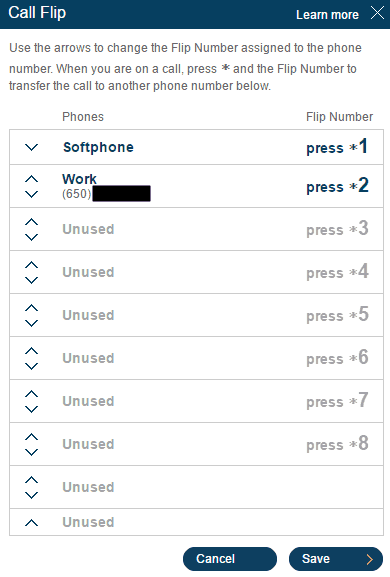 The customer support is exactly like a RingCentral phone system: it has minor problems, but works like a charm. 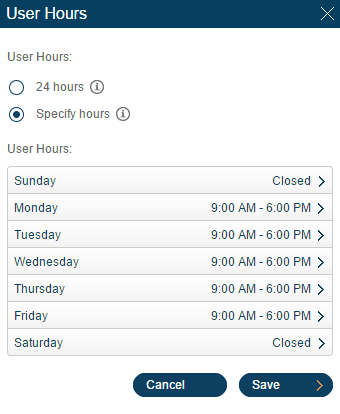 The only problem is that their staff is only available during business hours. They do make up for this by being at customers’ service during weekends as well. RingCentral clients preferring direct contact can reach the personnel via phone (on 888-295-17-24 locally or even internationally), live chat or a support ticket. 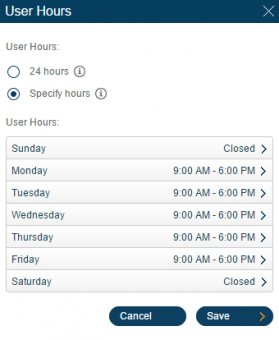 There’s also the option to go to the community and find a solution with staff members and other users. Problems can be reported on Facebook and Twitter too, although in the latter case we suggest to use the RingCentral Care account as it is used for announcing system issues. 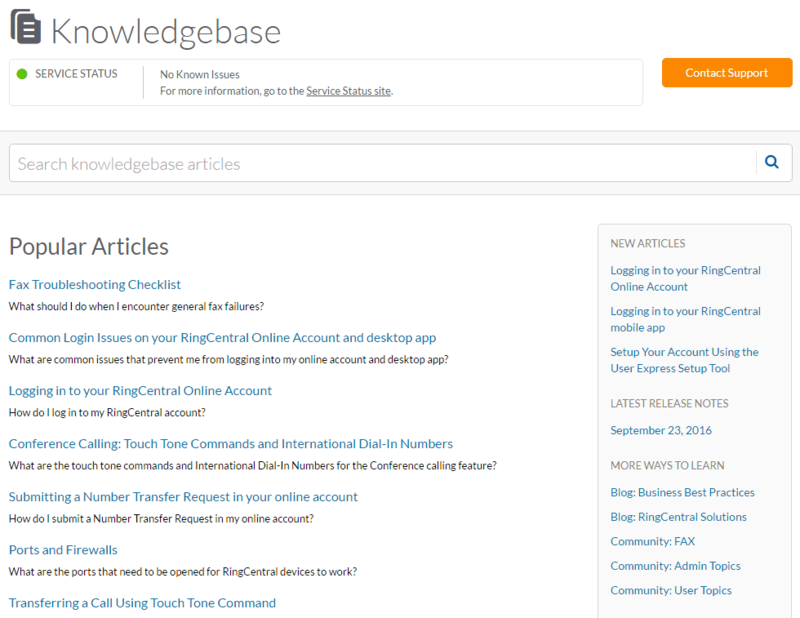 If the problem is not that urgent, or you want to find a solution on your own, it’s best to turn to the very detailed knowledge base, watch YouTube tutorial videos or read the blog or the guides. Additionally, you can attend webinars to learn how to handle your VoIP system and make the most out of it. RingCentral is on the top of the VoIP systems’ food chain for very good reasons. 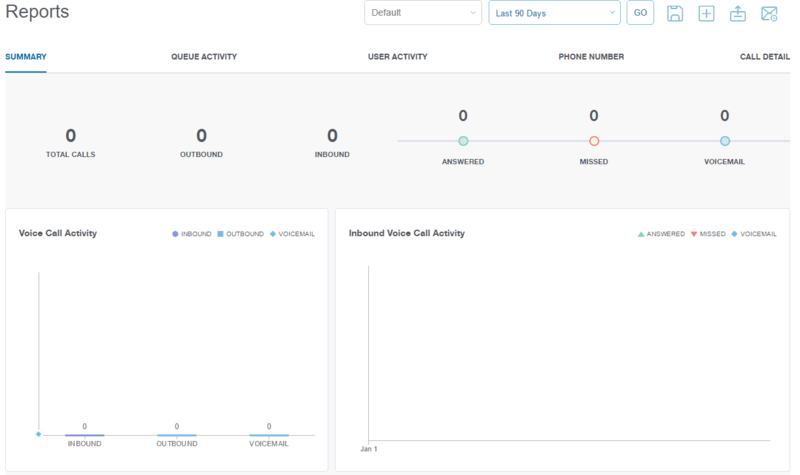 Still, we wouldn’t say this VoIP provider is without flaws: our biggest concern is the tad complicated phone system manager that can scare first-time users. We also think the built-in softphone is quite lackluster, while the app forces users to download separate solutions to be able to use certain features on the move. But when it comes to everything else: RingCentral came, saw and conquered. The call handling features are very versatile, the system manager is a brutal powerhouse, while the desktop software, the browser extension and the apps are perfect substitutes for your desk phones. Furthermore, you get business texting, faxing, and messaging (via Glip), the integration of the most important third-party solutions and an always-prepared customer support for reasonable prices. So if you are eyeing at RingCentral, do not hesitate, but go for it. Getting this set up was quick enough for me with ample guides on how to tie everything together. I’ve had to deal with more tricky, tedious instalments than this. It works like a charm and I’m pretty ok with the overall cost of it all. I’m very pleased with how Ringcentral is working for us and the improvements it has brought to our organization. We’re keeping our menus short, yet they already mean that our office manager has to go through a lot less calls. Also, hardware. It’s astonishing just how much easier it is for our office manager and any customer reps to wear a headset. Especially the wireless units that our warehouse personnel use have won us over. Call handling was much welcomed and does really well for us considering we have different opening times for the office, shop, online store… All the rest is there – good apps, quality phone connections, support was there when I needed it as one of our employees didn’t get it to work on her computer. 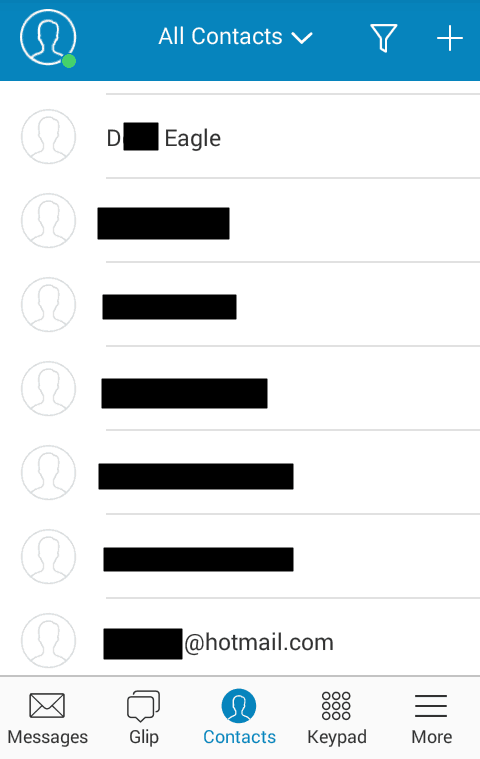 I’ve been with Vonage before and was happy with them, but Ringcentral has way more. 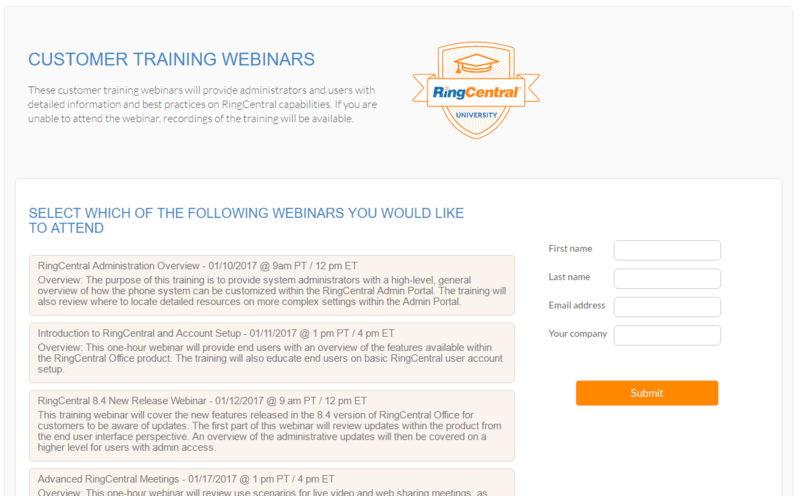 I have no idea how RingCentral is rated #1 on this website, unless of course they paid for that. The system, when functioning as expected/normal, is PHENOMENAL. I will give them that. The problem is, it rarely functions as expected/normal, and support is shelled out to the Phillipines. Even this I could put up with if the agents weren’t rude when you can’t understand their thick accents. Having requested a call from USA-based support over a week ago given the number of problems my system is having, you can imagine my surprise when I was just told today that USA-based support is supplied for teams of 20 or more, only. So basically the little guys don’t pay them enough is what I take from that. Quite sad. I had extremely high hopes for this system. Support and an extremely glitchy system just aren’t up to par. Side-note: I spent $500 on the phone alone just so I could have the top of the line service. I have had Ring Central for a year now and it just doesn’t work for me. It took three or more phone calls to the support team to get the VOIP to work on my network. The iPhone app has terrible call quality since all of my calls get broken up and no one can hear me. Every time I call support they tell me that it’s my network. My internet is fast and the app NEVER works well regardless of whether I use it over VOIP or the phone itself. I’ve been patient so far but I think it’s time for me to move away from Ring Central. 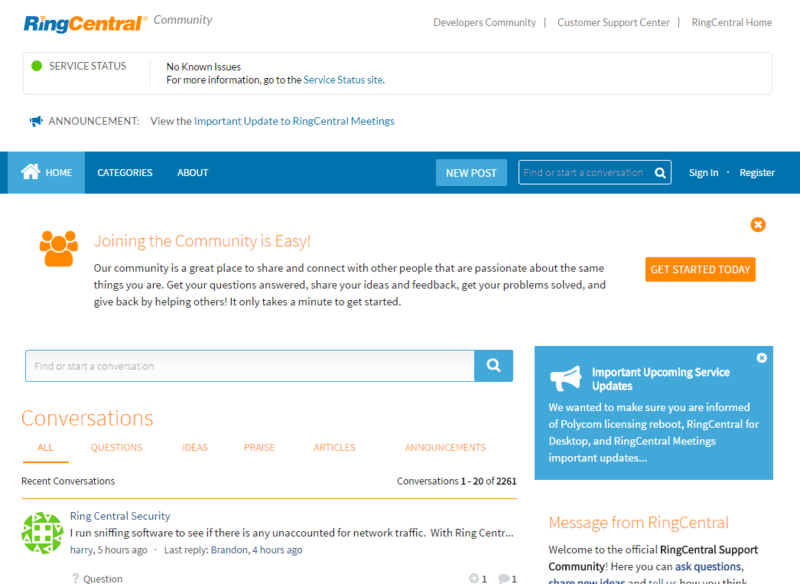 I have been with RingCentral for a few years now. I have rather unique needs. I forward the 800 number I have with them to both my cell and a magicjack landline. Recently I had a call quality issue. My clients could hear me fine but I couldn’t hear them. So, I submitted a ticket as their help system did change and I didn’t want to call them. Just didn’t feel like being on the phone. They got back to me in reasonable time, made some changes to my settings and I haven’t had a quality problem since. It did take a little back and forth testing, as to be expected. I am actually writing this review as I’m looking around to see if I can save a few bucks on my service. I’m giving them the chance to keep my business, if they come through. If not, who knows what I’ll do. I’m thinking of adding a desk VOIP phone but I want to save a little money. Adding a phone would cost me the phone itself plus $5 a month more. We’ll see what happens. and will not work with open office, etc. By the way, UPDATE your information. They recently stopped offering 24/7 service unless your system is completely down but MUST enter an online only ticket for everything else which is by far, the majority of the issues we’ve had! I have been with them for over a month. With over 100 employees on their system, we have not had any issues. The implementation team was amazing. I have not heard a single complaint from our employees since we moved from the previous provider. Great Service for a Great Price. 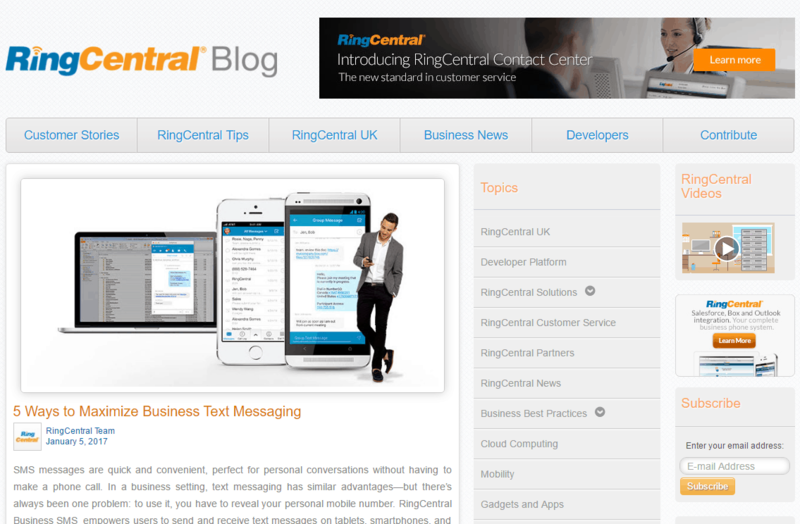 Ring Central is a great VOIP software package. It is very easy to use and extremely user friendly. Their customer service associates do not treat you like you are a number and they also take their time to figure out any problems you may be having. I had an emergency and they were very attentive and genuinely were concerned with my frustrations during the emergency. I would tell other companies and friends that Ring Central is a product you want to use.